Hello! I wanted to share another Christmas card I made using inspiration found on the Taylored Expressions Pinterest Boards HERE! 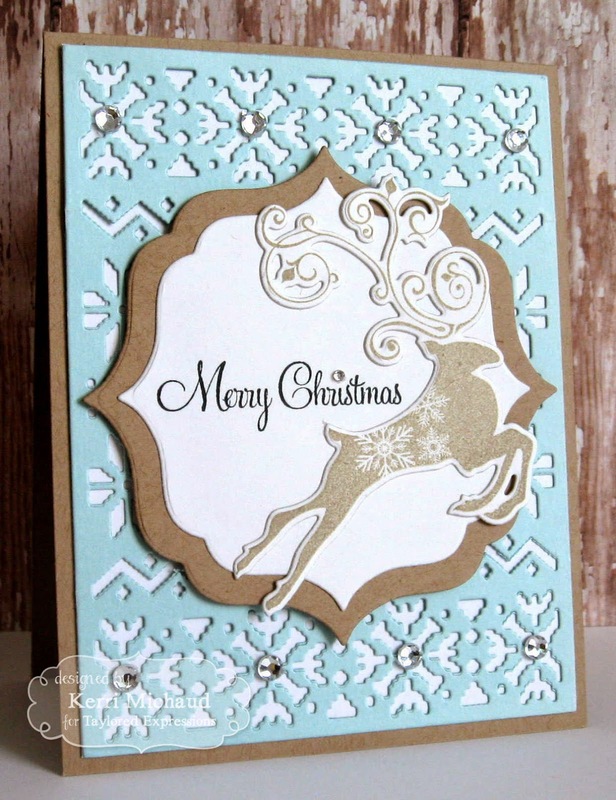 I just love the cleanness of it, the color combo, and the bling she added to the snowflakes! Such a pretty card! I used the Sweater Weather Cutting Plate to cut my bg out of Salt Water Taffy cs. 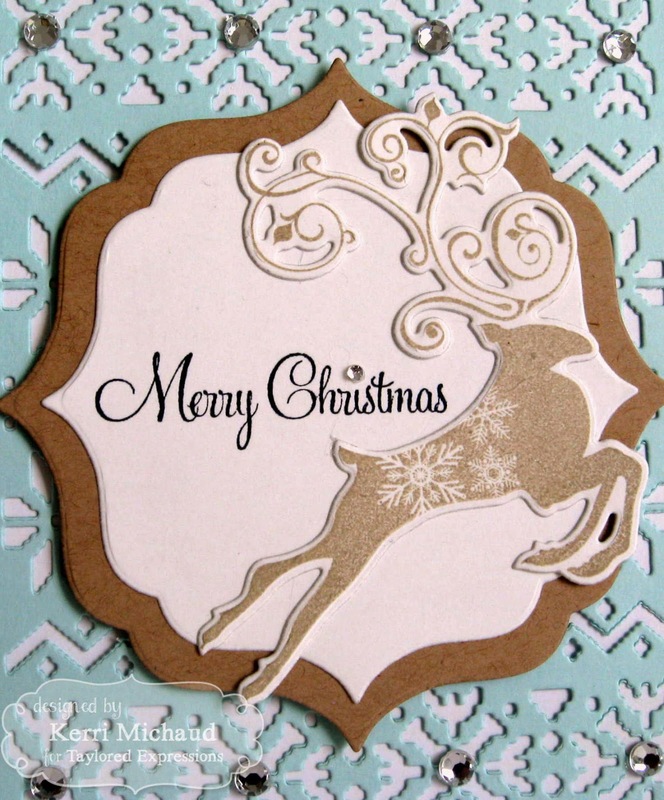 I then stamped this gorgeous reindeer from the set Sparkle and Cheer and cut it out with a coordinating Sparkle and Cheer Die. The sentiment also comes from this set and I used the Label Stacklets 4 Dies for my panel. Finally, I added some rhinestones to the centers of the snowflakes and one over the "I" in Christmas. That's it for me today:) We hope you can find inspiration on the TE Pinterest Boards as well! Happy crafting! What beauties Kerri. Love how you used that Nordic bg die.